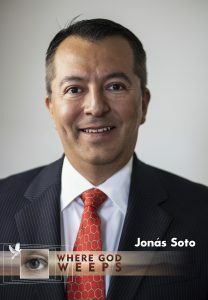 Jonas Soto studied communications at Univ. Anahuac in Mexico City. He was producer of catechetical radio programs for many years. He was Director of Guadalupe Radio TV in California, and host of a daily radio show for seven years. In 2013 he joined Catholic Radio and Television Network (CRTN) as Production Manager and program host for Where God Weeps.